Valentine's Day is just around the corner! Do you have your plans set? Whether you’re spending it with your significant other, or your besties, everyone should be spending it with someone they love! 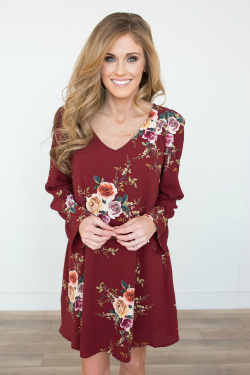 Not only does Magnolia Boutique have cute V-day outfits for whatever you’re doing, but we also have some great Valentine’s Day date ideas. Click to shop directly from the blog! Order ASAP to ensure you get your order before February 14th! We have made a list of a few fun things to do with either with your boyfriend/girlfriend or your single besties! Can’t ever go wrong with a classic, right? Keeping it simple will help make the time spent together all the better without all the extras. Find a place neither of you has been to before, dress up, and hit the town! If staying in is more your style, then do just that! Find a yummy recipe online and cook it together. With no other distractions around, you’ll certainly be feeling the romance! Having memorable dates are always a plus! Think outside of the box and plan a fun evening. Like indoor go-carts, putt-putt, or maybe an amusement park! It will definitely be a date to remember. Such an easy night to plan, and yet so much fun. Pick a theme of movies, and watch as many as you can in one night while hanging out with your single besties and drinking your favorite wine. Bonus tip: Have everyone bring a different kind so you can have a tasting before the movies start! Find somewhere in your city that has a fun and cool atmosphere! Like someplace with fun drinks and Instagram-worthy dishes. Grab your gals and make a night out of it! Whether you go to a spa, or create and at-home spa, this will make an awesome Valentine’s Day date idea. Treat yourself and do your nails, facemasks, and hair masks. Honestly, just go to your nearest beauty store or even Target and pick up as many beauty-care products as you can find! You’ll wake up the next day feeling flawless. Here's some more Valentine’s Day outfits that will be perfect for any plans you have! We hope you have an awesome Valentine's Day!